Mesa Verde National Park. The culture represented at Mesa Verde reflects more than 700 years of history. From approximately A.D. 600 through A.D. 1300 people lived and flourished in communities throughout the area, eventually building elaborate stone villages in the sheltered alcoves of the canyon walls. Today most people call these sheltered villages "cliff dwellings". The cliff dwellings represent the last 75 to 100 years of occupation at Mesa Verde. In the late 1200s within the span of one or two generations, they left their homes and moved away. Scientists study the ancient dwellings of Mesa Verde, in part, by making comparisons between the Ancestral Pueblo people and their contemporary indigenous descendants who still live in the Southwest today. 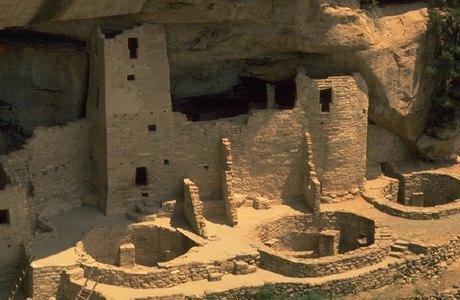 Twenty-four Native American tribes in the southwest have an ancestral affiliation with the sites at Mesa Verde.